This year my eldest started school for the first time. Boy has it been a learning curve (for him AND me)! Generally speaking I’ve not had to be organised and out the door in the morning at any specific time for the past few years. Other than making it to playgroup and getting him to preschool, there was no real set time I neededto leave. No one batted an eyelid if he rocked up at preschool at 8.30am or 9.55am, and because I work from home, I kind of set my own hours. School is NOT the same. They actually expect you to drop your child off at a specific time AND they expect you to pick them up at an exact time. 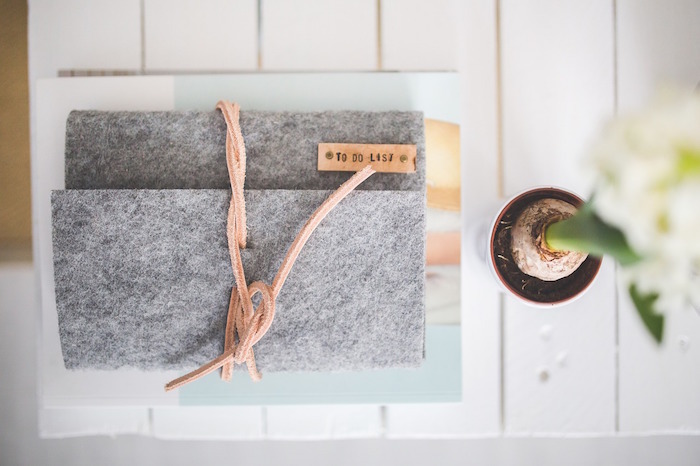 So now that I’ve confessed to being rather relaxed about mornings in the past, here are some ideas I’m using to make them run more smoothly now that school is a daily reality. I’m pleased to advise that it’s almost October and I’ve so far not been late to school once. Though I do confess I may have made a couple of emergency SOS calls to friends to wait with my son in the afternoon while I attempted to drag an unwilling toddler out of bed. I cannot emphasise this enough. DO NOT try and rush packing lunches in the morning, especially if you’ve got multiple lunches to do. If your kids are old enough to pack their own, get them in the habit of doing it the afternoon before. Even young kids can help with putting things in lunchboxes. I’ve gotten in the habit of also packing a lunchbox for me and my toddler. It makes things so easy when I can just grab our premade lunches and head to the park or the shops at the last minute. Make sure that everything that is needed for the next day is in their bags the night before. Get the kids into a habit of unpacking their bags as soon as they get home and repacking them as part of your evening routine. No one wants to be searching for library books 5 minutes before you need to be out the door. I also lay out clothes for the next day for the kids and me. My 5 year old is much more efficient at getting himself properly ready if everything is laid out and ready to go. Plus it saves me from discovering every pair of grey socks we own is in the wash at 8am! My kids respond really well to visual reminders. 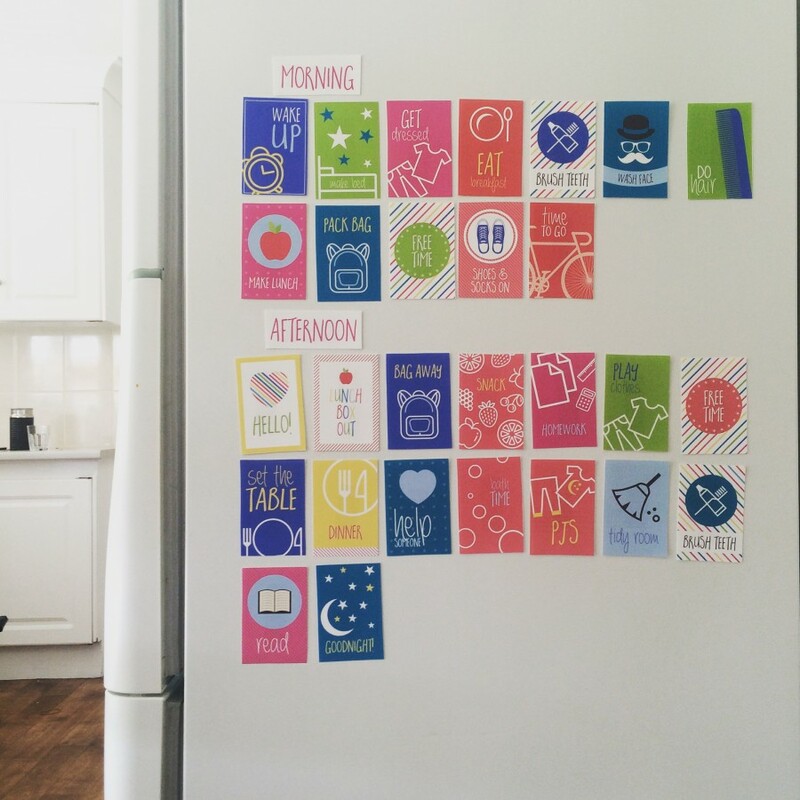 When my son first started school I used these routine cards on the fridge from Be A Fun Mum (you need to check out her blog, she’s awesome). They don’t need the visual reminder as much now but it was super helpful for establishing a routine early on. The rule in our house is that once everyone is TOTALLY ready in the morning (clothes, fed, bags, teeth, tidied up, finished any homework etc etc) then they can have technology time. Some mornings they get 5 minutes, some mornings none. So far they are yet to get more than 20 minutes (and even that was a once off). Either way, it works for us! Everyone has a job each morning that helps us all get ready and out of the house. Whether it’s putting the cereal bowls out, packing away the toys, helping mum in the kitchen or doing some other job. Everyone pitches in so that it all gets done. Make sure your routine is consistent. The kids will know what they need to do and you’ll know that everything is getting done. The visual chart (point 3) will help with this for younger kids. After a while the routine will become a habit but to start with it is helpful to have reminders. Kids need sleep. Consistent sleep and ENOUGH sleep. Make sure you have a good routine and that the kids and you get enough sleep every night. My kids do not respond well to being hungry. Breakfast is the very first thing on our list when they wake up. Don’t leave it to last or you’ll have hungry cranky kids who you’re having to rush to finish. Is it just me or do schools seem to have constant cake stalls, mufti days, excursions and other random activities that parents are expected to remember. You do NOT want to be the parent who forgets to send their kid with 50 cents for cake day or who’s kids is not dressed with crazy hair for crazy hair day. Whenever you get a notice of something going on at school, pop it on the calendar or in your phone with a reminder for the day before and the morning of. Make sure you check the calendar on the weekend for next weeks upcoming activities and the night before for anything you’ll need in the morning. Try not to turn mornings into a battle zone. The more organised you can be, the easier it is to get things done on time and without losing your temper. Rushing is stressful! Reduce the rushing, plan ahead and everyone stays calm. How are mornings in your house? 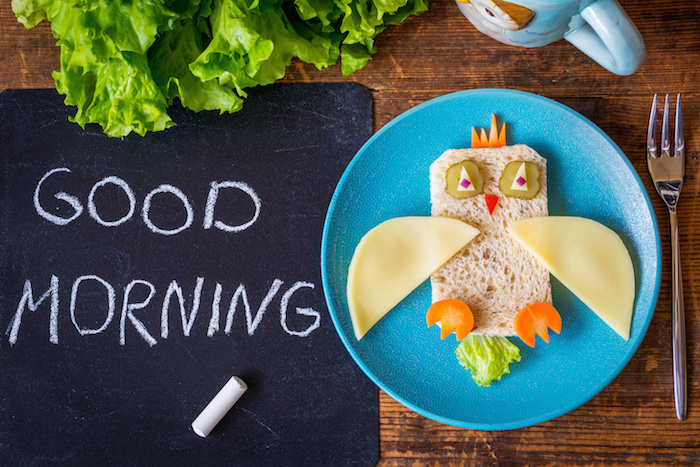 Do you have any tips to help make school mornings run smoothly?